The Young Americans may be spoiling for way as they are galvanizing global climate change advocates against Mr. Donald Trump, alleging the presidential candidate for the Republican party wants to destroy the Paris Climate Change deal, reports NaijaAgroNet. To this end, they are muscling up global youth campaign using the Short Messaging Service (SMS) otherwise known as ‘texting’ to make sure they fail Mr. Trump by simply texting. Confirming this resolve, in an online petition via Avaaz, the lead advocate, Emma Ruby-Sachs, insisting that Mr. Trump is trying to destroy the global deal on Paris climate change, hence he deserves global campaign against him. “Trump wants to tear up the Paris climate deal, and that's just the start of his horrifying plans! But now there's a way we can all help stop him, just by texting,” Ruby-Sachs said. NaijaAgroNet recalls that Avaaz is a 44-million-person global campaign network that works to ensure that the views and values of the world's people shape global decision-making. 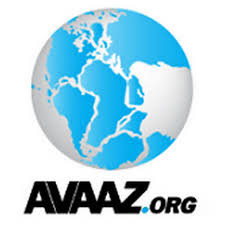 Avaaz means "voice" or "song" in many languages has memberships in every nation of the world; whereas its team is spread across 18 countries on 6 continents and operates in 17 languages.